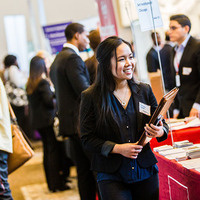 Featuring more than 50 Los Angeles startups, the Startup Career Fair is a great opportunity for students of ALL majors to get their next great position. Past attendees include Snapchat, Tinder, and SpaceX. This year's event will be the largest its ever been!